In this article, we explain how three leading nationwide business brokers–Sunbelt, Transworld, and Murphy–can help you sell a business. We will compare the three and tell you who is the best business broker for small business owners. If you’re looking to purchase a business and need financing to complete your purchase, speak with Guidant Financial. They specialize in helping entrepreneurs use their 401(k)/IRA savings to buy a business without paying taxes or penalties. They can also help you obtain SBA funding to buy a business, and offer a free consultation to get you started. We selected Sunbelt as the best broker for small business owners because they have the longest track record (38 years) of successfully closing deals. They have the highest volume of businesses for sale, highest closing ratio, and highest average sale price. Can Provide Certified Valuation Report? We recommend Sunbelt as the best business broker for small business owners looking to sell because they have a proven, 38-year track record of successfully closing deals better than their competitors. Founded in 1978, Sunbelt considers themselves the largest business brokerage in the world in terms of number of listings, deals closed, and average listing price. Brian Knoderer, the President of Sunbelt, told us that at any given time, Sunbelt has about 4,000 businesses for sale, and they have offices in 37 states. They close about 2,500 deals every year. Offices have a closing ratio of 25 % up to 85 %, meaning that 25 % to 85 % of listings are sold. By comparison, the industry average is approximately 20 %. The average listing price of a business listed with Sunbelt is over $500,000, higher than the national average. It’s not just these numbers that are impressive. 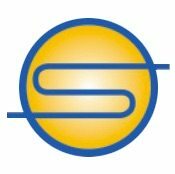 Substantively, Sunbelt brings a tremendous amount of expertise and experience to the table. They have more brokers that are credentialed as Certified Business Intermediaries (CBI) by the International Business Brokers Association (IBBA) than any other brokerage firm. Why is this important? It means that Sunbelt brokers who are certified have a minimum of 3 years of education and experience in how to successfully sell a business. Sunbelt provides a complete range of brokerage services. They will perform business valuations, confidentially market your business, screen potential buyers, and assist with financing options and closing. Sunbelt doesn’t price gouge–they follow industry standard pricing on commissions and fees. While this isn’t that different from the gamut of services provided by Murphy and Transworld, Sunbelt brings more experience to each stage of the process, which can help ensure that a deal is closed more quickly and to the mutual agreement of all parties involved. The downside is that if you have a very small business, Sunbelt might not be a good fit. They help businesses with revenues typically between $50K and $50 Million annually. While this covers the majority of businesses, some really small mom-and-pop shops would do better with a firm like Transworld. If your business is generating a very small amount of income (under $50K), then Transworld may be the best broker to choose. It’s rare to find good business brokers that will represent very small mom-and-pop shops, but Transworld has done deals with businesses netting as little as $20-25K annually, says CEO Andrew Cagnetta. Compared to Sunbelt, whose average listing price is around $500K, Transworld’s average sale price is $300K. Transworld provides a complete range of broker services. They will confidentially advertise and market your website online, to their database of thousands of buyers, and through snail mail. Cagnetta says Transworld likely spends more money than competitors to market businesses on online channels; they have premium subscriptions on several online business-for-sale sites, which could give your business more exposure. While Transworld is a nationwide business broker, it’s not quite as large as Sunbelt. Transworld has about half as many brokers and fewer listings than Sunbelt. That being said, Transworld has been around since 1979, so they bring a lot of experience to the table. Whether you need a quick broker’s estimate of value or a more in-depth valuation report, Murphy has several options for businesses needing a valuation. Their formal valuations are done in compliance with the Appraisal Foundation’s Uniform Standards of Professional Appraisal Practice or the Institute of Business Appraisers’ Business Appraisal Standards. Most small businesses don’t sell because they are priced inaccurately. Murphy has a great deal of expertise in business valuation to help ensure that the seller’s and buyer’s expectations match more closely. Another area where Bieber says Murphy stands out is the training provided to brokers. Brokers must do an extensive 1-week training on site at Murphy’s Florida headquarters and a case study showing that they know how to successfully sell a business. Bieber credits the training system with Murphy’s success. Murphy’s closing ratio is roughly twice that of the national average. Before we get to the in-depth comparison of Sunbelt, Transworld, and Murphy, it’s worth taking a minute to understand why having a business broker is important. According to data from the US government and business marketplace BizBuySell, over 500,000 businesses are bought and sold each year! Only a small fraction of these transactions, about 20 percent, are handled by business brokers. Many sellers don’t know what a business broker is or the benefits of using one. If you’re planning to sell your business, hiring a broker can help ensure that you get the right buyer and a fair price. Traditionally, brokers represent the seller, and the seller pays the broker’s commission. That’s how Sunbelt, Transworld, and Murphy work. However, buyer representation is becoming more common. For more buyer resources, click here. Finding and Screening Potential Buyers. A business broker’s primary goal is to help the seller find qualified, interested buyers for the business. Business brokers will market your business for sale on online and offline channels, screen buyers for financial eligibility and fit, and help you evaluate offers. Confidential Marketing. In a business sale, confidentiality is critical. If employees, vendors, or customers get wind that a business is up for sale, it can damage morale and ultimately hurt the value of the business. Brokers will ask buyers to sign confidentiality agreements before revealing your business’ identity. Business Valuation. Most business brokers will provide a value estimate for your small business once you retain them. Some, for an extra fee, will even provide a certified appraisal. The ultimate goal of valuation is to make sure the seller gets a fair but realistic price for the business. During price negotiations, the broker can act as an intermediary between seller and buyer. Financing Options. Business brokers will often have relationships with banks that can help provide the buyer with financing options for purchasing the business. Paperwork and Closing. Business brokers can be immensely helpful in making sure all the paperwork that’s needed in a business sale gets completed. They will bring together all the parties that are needed at closing, including the buyer, seller, attorneys, and accountants. If you hire a broker, we suggest first checking if he or she is certified. 17 states (as of 2013) require business brokers to be licensed by the state’s real estate licensing body. The International Business Brokers Association (IBBA) is a private organization that provides credentials for brokers who have met specific education and experience requirements. Many (but not all) brokers retained by Sunbelt, Murphy, and Transworld are accredited as Certified Business Intermediaries (CBIs) by the IBBA–Sunbelt has the largest percentage of CBI brokers compared to other firms. When you retain a broker to assist you with selling a business, you have to sign a listing agreement (aka engagement or retainer agreement) specifying that you will work exclusively with the broker for a certain period of time (usually 1 year). Broker Commission – The industry standard commission is 10-12 % of the sale price of the business. This scales down for businesses valued over $1 million. We weren’t able to get specifics on how much it scales down, but the commission is negotiable. Retainer Fee – Some brokerage offices will charge an upfront retainer fee when you engage them to represent you and sell your business. The size of the fee varies significantly, from as little as $100 to as much as $1,500 or $2,000 for larger businesses. Valuation fees – There are two types of valuations, and there may be a charge for either or both. Broker Opinion of Value (BOV) – BOV is the broker’s estimate of the business’ value based on business financials, industry, business size, brand value, and several other factors. Some broker offices charge no additional charge for a BOV, while others do charge a separate fee. Certified Appraisal – With large transactions or complex ones, the seller or buyer may want a certified business appraisal and report. This may be done either in-house or through a third party. There’s usually an extra fee as certified appraisals require a significant amount of time and expertise. Certified appraisals generally start at around $5,000. Cancellation/withdrawal fee – If you walk away from the deal before the period specified in the contract, many brokers charge a cancellation fee or the entire 10-12 % commission. Ultimately, if a broker tells you, “We don’t get paid unless the deal goes through,” that may or may not be true. You should carefully review your listing agreement with the broker to make sure you know about all fees in advance. In general, most offices do not charge advanced fees, but only get paid a commission when the business sells. That being said, Knoderer did say that some offices may charge an upfront retainer fee. This is generally more prevalent with larger, more sophisticated sales. Sunbelt – Sunbelt’s pricing can vary based on which office you go to. You will be required to sign an agreement to be exclusive with Sunbelt for 6-12 months, with 12 months being the most common. Their average commission is 10 % of the business sale price. There may be other fees, such as retainer fees, valuation fees, and cancellation fees, which vary from office to office. To get details on pricing, the best thing to do is to go to your local Sunbelt office and chat with a broker about your business. Transworld – Pricing may vary from office to office. According to several sources, the industry average commission for most business brokerages is 10-12 %. When asked, Andrew Cagnetta confirmed that Transworld follows similar pricing as that of the industry. Transworld brokers do not charge a retainer fee, but cancellation and valuation fees may be charged. Contact your local Transworld office for more details. Murphy – Pricing may vary from office to office. You’ll be required to work with Murphy for at least 12 months. Murphy follows the industry standard of a 10-12 % commission. Brokers may charge a retainer fee, a valuation fee, or a cancellation fee as appropriate. The retainer fee can range anywhere from $500 to $2,500 and is more likely to be charged for larger businesses or complex transactions. Contact your local Murphy office for more details. When selecting a broker, you should make sure that they cater to your size and type of business. If you have a small mom-and-pop bakery, for example, you probably shouldn’t choose a broker that specializes exclusively in multi-million dollar mergers and acquisitions. In addition, if you can find a broker that has special expertise in your industry, that can be helpful when it comes to valuing the business, marketing to potential buyers, and helping you negotiate a fair price. Sunbelt – Sunbelt represents a wide range of businesses. The smallest businesses they represent do about $50K in annual revenues, and the largest do about $50 Million in annual revenues. Their brokers have expertise in a variety of industries. If a local office has a broker who has particular expertise in your industry, then they are often consulted with or work collaboratively on the deal. Many of the businesses represented by Sunbelt are Main Street businesses, such as independently owned restaurants, dry cleaners, or local fitness centers. However, they also represent franchises. Transworld – An advantage of Transworld is that they work with even the smallest of small businesses. They’ve worked with businesses doing as little as $20-25K in yearly revenues, and they don’t have a hard minimum. On the other end, they’ve also done deals for businesses that are doing as much as $30 Million in yearly revenues. 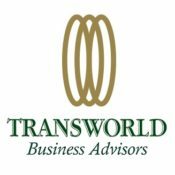 Transworld works with a variety of industries, and they represent both independent businesses and franchises. Murphy – Murphy works with businesses doing as little as $50K in net income to as much as $30 Million. They work with a wide range of industries, independent businesses, and franchises. Broker Opinion of Value (BOV) – BOV is an estimate of the business’ value based on business financials, industry, business size, brand value, and several other additional factors. To give the BOV, the broker will typically visit your place of business, collect business financial information and other pertinent information, and assess local market conditions. Some brokers charge no additional fee for a BOV, while others charge a separate valuation fee. Certified Appraisal & Valuation Report – In many cases, a BOV is enough to close a deal. However, with more complicated transactions, the seller or buyer may want a certified business appraisal and report. This may be done either in-house or through a third party, depending on the broker’s and office’s abilities. Business valuation can be a complicated process, but one that’s crucial to getting you a fair price on your business. To learn about the factors that go into valuing a business, click here for our Guide to Business Valuation. Sunbelt – Sunbelt provides a BOV, often at no additional charge, though some offices may charge for this separately. Certified valuation reports, done either in-house or through a strategic partner depending on the office, are also available, but for an additional fee. Sunbelt did not tell us how much the fee would be. 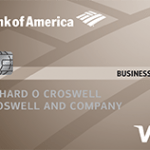 Transworld – Transworld provides only a BOV for businesses valued under $1 million. Andrew Cagnetta, Transworld’s CEO, said that doing a certified appraisal for such small business is generally not necessary. They will provide certified appraisals for businesses over $1 million. He did not say how much is charged for valuation services. Murphy – Murphy provides the widest of valuation services, including a BOV and three types of formal valuation reports based on your business’ needs. The company did not tell us the charge for valuation services. The goal of every good broker is to find a qualified, appropriate buyer for your small business. Brokers will market your business for you to potential buyers on various channels. They may list your business on business-for-sale websites, utilize internal databases of interested buyers, send out direct mail, or talk with buyer’s brokers in the local area. When buyers show interest in a business, the broker will screen them to find those that are the best fits by requesting the buyer’s resume and financial history. If multiple buyers make an offer, the broker will help you evaluate the pros and cons of each offer. Sunbelt – Sunbelt will create a customized marketing plan for your business. For certain businesses, online promotion is key, and Sunbelt will list your business for sale on 10 or more business-for-sale sites. They will also tap into offline marketing techniques. They have internal databases of individual buyers, corporate buyers, and private equity groups (if appropriate for your business). Sunbelt will narrow down the list of potential buyers to those that can afford the business and have the interest and experience to take over the business successfully. Once you receive offers, your Sunbelt broker will help you weigh the pros and cons of each. Transworld – Transworld creates a custom marketing plan for every business it represents. This may include online marketing, contacting buyers in an internal database, or direct mail to prospective buyers. Transworld spends extra money to access premium subscriptions on online business-for-sale sites like BizBuySell, so that means your business will often appear at the top of the search results where buyers are looking. Transworld has an internal database of thousands of buyers, and they send out 40,000 to 50,000 direct mail pieces per month. Murphy – Murphy creates an offering portfolio for every business it sells, which they say includes more detailed information than what appears in a typical one-page flier used by most business brokers. They design a customized plan to promote your business to prospective buyers. This may include online marketing, direct mail, consumer or trade advertising, or other methods as appropriate. A business broker can be invaluable in helping you sell your small business, finding the right buyer, and getting a fair price. The three leading nationwide business brokers–Sunbelt, Transworld, and Murphy–provide a complete package of brokerage services that will help you do just that. We recommend Sunbelt overall because they are the largest and have the longest track record. If you’re a buyer in need of financing, reach out to Guidant Financial. The team at Guidant are the nation’s largest Rollover to Business Startups(ROBS) provider. ROBS allow you to use your 401(k) to cover the asking price, without tax penalties. 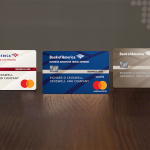 They can also assist with obtaining an SBA loan. Get your free 1 on 1 consultation by connecting with Guidant. I am A business broker in Charlotte, NC and to me, Acting as an agent simply means acting as a representative of the Seller while offering the business for sale. The brokerage firm role in this process is to explain the business to potential buyers looking to buy a business including how much the business earns in revenue, a breakdown of expenses and the available cash left over after the expenses are paid to run the business. Business brokers will conduct a review of several years of financial data and review them with an eye to explaining the upside potential of the business for sale they are representing. When the business brokerage is engaged by the owner or representative of a business to market it for sale, the business brokerage will use multiple techniques to market the business to potential buyers. Some of those techniques might include the prices that businesses in the same industry have sold for previously. The selling price might be structured as a percentage of the sales volume or a multiplier of the available cash flow the business produces. Additional consideration is usually given to include potential advantages of the business to the buyer, such as growth potential, new market strategies, or efficiencies might currently be lacking in the business. The brokerage firm will explain highlights of the business for sale being represented and the attributes making the business desirable to a buyer. If acting on behalf of a buyer who is looking to buy a business, the business brokerage firm will offer to conduct business searches for a business that may not currently be on the market for sale. These searches may target annual revenue, location, growth potential, or discretionary earnings. The buyer may also want the brokerage firm to help them negotiate a deal with the seller. In these instances, the commission is the responsibility of the buyer unless terms can be worked out with the seller. Thank you, Priyanka! Very helpful article!! I am looking into franchised and these 3 and 2 other are on my list. Once I get into each one I’ll stop back and give my opinion and any choice I made. Not going to be an easy task with the upfront money and of course hearing of easy transition. Anyone look in VR since they are small but have some nice features and not so great ones. hello Vincent, did you make a decision from these 3? if so, what was it and what swayed you? and regrets/comments/feedback since your decision ? Stay away from Sunbelt, they are crooks! I made an offer on a business and submitted a deposit with a signed LOI.This letter was non-binding and when the sellers did not accept my offer the broker, Sunbelt Northern Virginia refused to return my deposit. I am now about to enter litigation with the broker. This broker is incompetent and even asked me to “bullet point” the purchase agreement so he could better understand it. I will never do business with these clowns again! Beware of Greg Ellwood, not only is he incompetent he also forces legal and accounting advice on those who are not his clients. Business Brokers are like Realtors, 99.9% of them are idiots and Sunbelt is the worst of them all.Try going to their website and looking up contact information for their corporate office. This buyer wasted months of my and the sellers time, after all the contingencies were completed he wanted to pull out. Probably because his wife told him no. I have been in the business for 15 years, Erik is a first-time buyer. I’m a business broker in Chicago and in my opinion the mistake sellers make is not interviewing at least 3 brokers from different firms. The franchise brokers don’t always make the best option and there are many HIGHLY qualified business brokers that are independent of the franchise brokers like Transworld, sun or Murphy. The franchise brokers might have a senior broker at the first meeting or at the “pitch” meeting to sign you up but ask if they will be there every step of the way. Very unlikely because if your business is under $300,000 of SDE their time is better spent on other deals. You will only talk to them when an offer comes in as they step in for their inexperienced brokers (The turnover for business brokers is exceptionally high). So ask who will work with you the seller every step including your buyer-seller meetings. Chances are the senior broker is nowhere to be found. Experience is the number one reason in picking a broker. Interview at least three and you will choose the best qualified broker for your business. I’m happy to help anyone who has questions so contact me on my website for more information!! Thanks for weighing in! We appreciate you sharing your insights with our readers in our comments section.